Yelp's Full Moon Party Elite Event at Pink Elephant Thai restaurant on Alberni Street on March 6, 2012. I know what you're thinking. 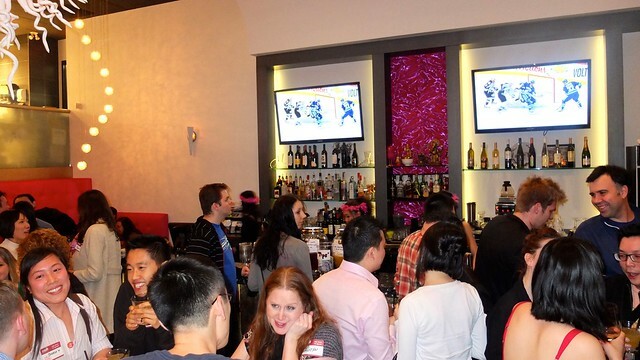 Didn't Yelp Vancouver just have a huge party (their biggest one ever)? Yep. Almost immediately after that, we were notified about the next one, less than a couple weeks after. I brought along food blogger and society newbie Ange Leung as my guest, lounging in the trademark pink chairs. The theme was full moons and pink for Pink Elephant Thai of the Thai House Restaurant Group with master restauranteur Desmond Chen in the house. Yelp Vancouver CM Robin McMillan (left) and the Pangs, Dennis and May (right). 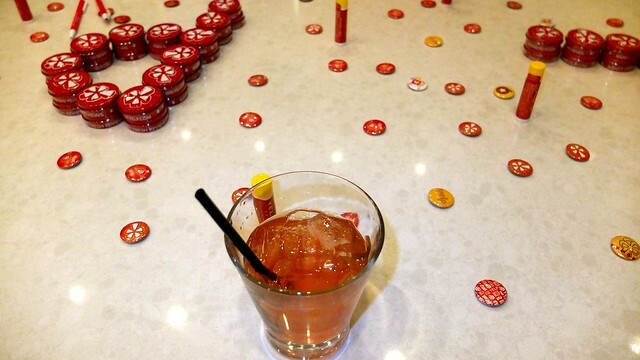 The drinks were flowing and tasty in this much smaller, more intimate Elite Event. I thought the "full moon" cocktail with vodka, banana liquor, apricots, and pineapple juice was quite good. 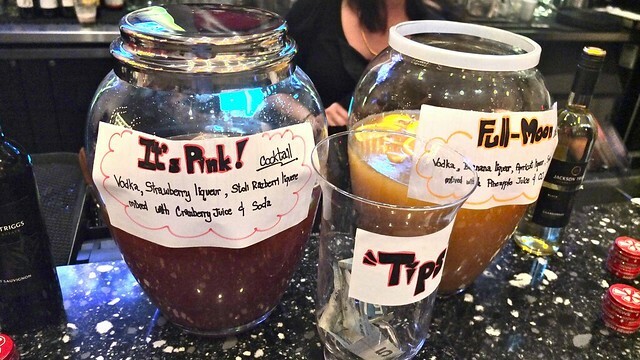 The yellow concoction was ahead of the pink cocktail with strawberry, raspberry, cranberry juice, and soda. 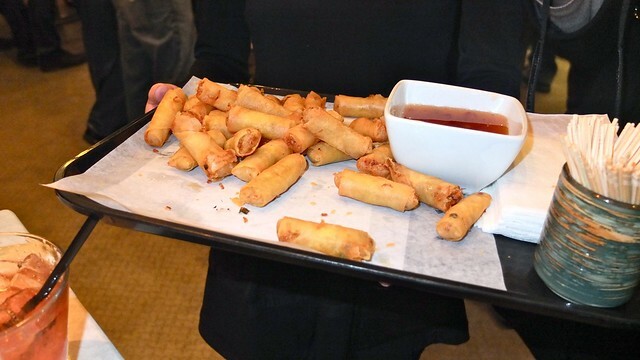 The fried munchies (spring rolls, dumplings, fish cakes) were flowing, coating our stomach linings for the drinks. 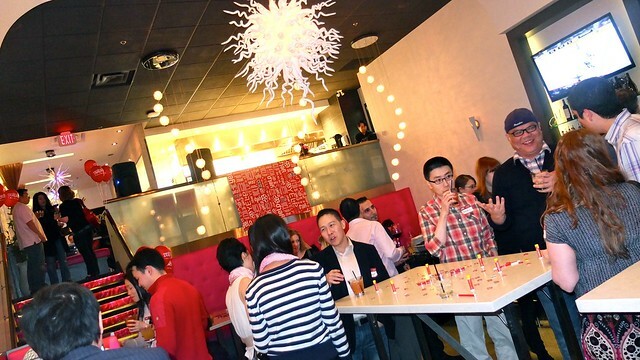 Yelp continues to make the case for joining its growing community. What I enjoy most is the variety and people. 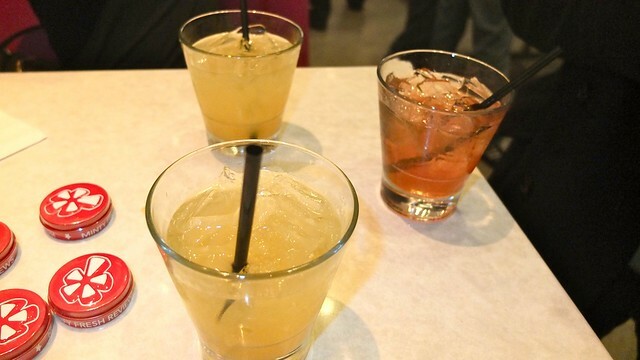 It was a nice, laidback night of cocktails and fine company.